With PMT Cloud services you can protect your Burley based business from any unforeseen events or accidents that may occur. We can safeguard your critical data so that no matter what, your business will keep running. We provide data security for you anywhere in Burley and the surrounding area. From data backup, hosted services including web and email, to co-location services, we protect you in multiple ways. Just let us know what you need and we will find the right solution for you. Your website is critical for running a successful business, as it ensures visibility to your current and potential customers. PMT’s Burley hosting service offers key features such as 24/7 local support, live support to get you up and running fast, no hidden fees and a flexible and easy to use control panel. To improve your business and keep connected with your partners and customers, PMT Cloud Hosted Email can create a unique plan for you. With options ranging from basic email setup to Microsoft Office 365, we can create what you need backed by the expertise of our live PMT TechForce support. Ensuring that your data is always available, secure and protected is critical. 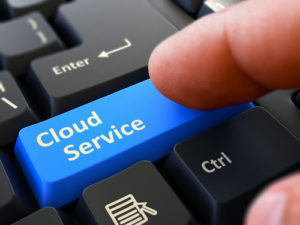 Our cloud storage gives you 24/7 access to our live support, files stored in original format for easy restoration, reliable availability and an affordable, secure, and responsive service. Protection of your company’s date is paramount. We are here to help with that as we understand how important it is for your business. PMT Cloud COLO keeps your data safe and available and through our PMT Data Center infrastructure, we take care of every single detail. For our full range of solutions contact our expert Account Representatives at (800) 322-4074 or email sales@pmt.coop.